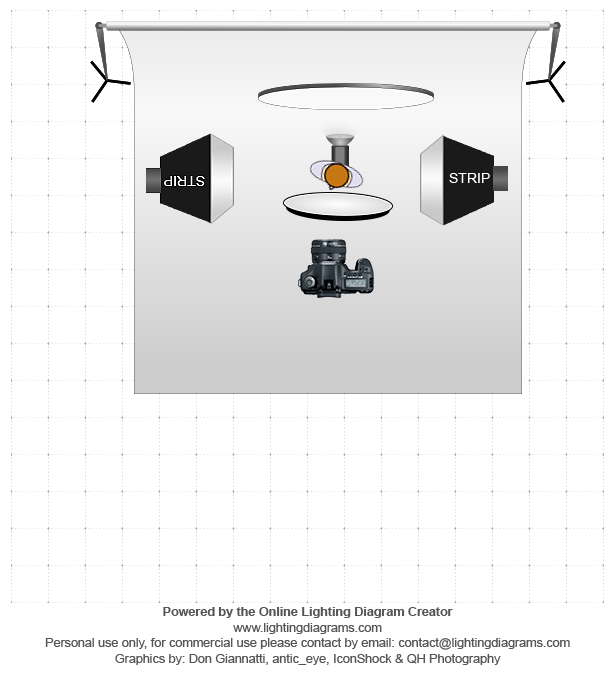 To prevent this from becoming a “technic-geek-blog” and to compliment the blog’s name here’s another lighting setup. This one is rather complex and makes use of the creative application of reflectors. 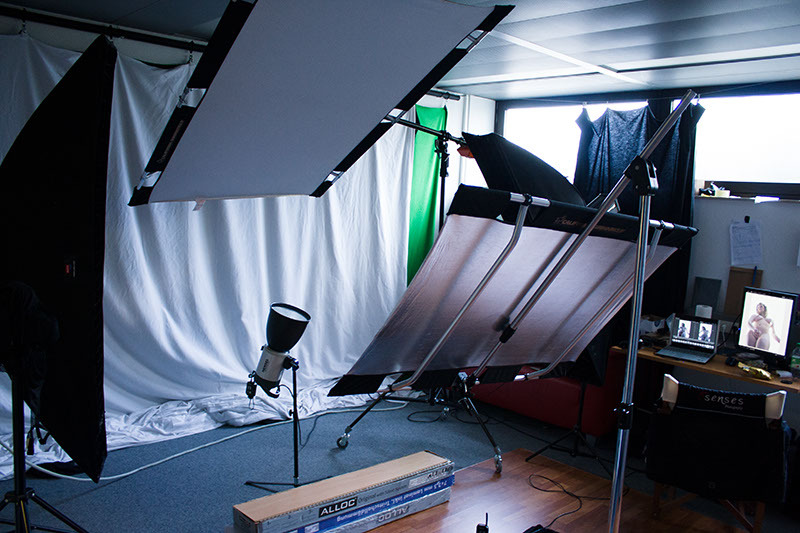 The main light is shining from behind/underneath upon a big Sunbounce Pro (white side), which serves as a background and -light. This achieves the “backlighting”-effect. Right on the other side of the model, parallel to the first one, is another Sunbounce (Mini) bouncing the light back into the front of her to lighten the front of the body a little and to prevent the contrast from getting too harsh. On both sides, left and right, 2 big striplights make for the rimlights on the bodys sides. This makes the setting a little harder to decipher. The main light needs pretty much power as it’s only used indirectly. the striplights are more dialed down.You measure the light on the front of the model and unerexpose this value of about 1 stop. In my case this resulte to 1/200s, f10 and ISO 100. Tolle Aufnahmen, wirklich sehr gelungene Lichtstimmung und ein tolles Spiel mit den Kurven. Da wird man als mehr oder weniger reiner Produktfotograf richtig neidisch auf die künstlerische Freiheit. Weiter so, kann sich wirklich sehen lassen!